Making progress on our back deck. So happy with my bright canvas rug. I hardly ever go trendy with anything, clothes or home decor simply because I don't want to spend the money to keep up with the trend. Nothing is more annoying that buying something and a year or two later your sick of it. 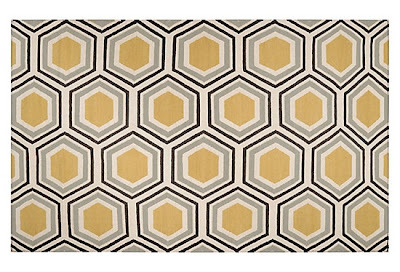 But when thinking of painting a canvas rug for only $20 bucks I went trendy with confidence knowing if I don't like it next year I can paint right over it! 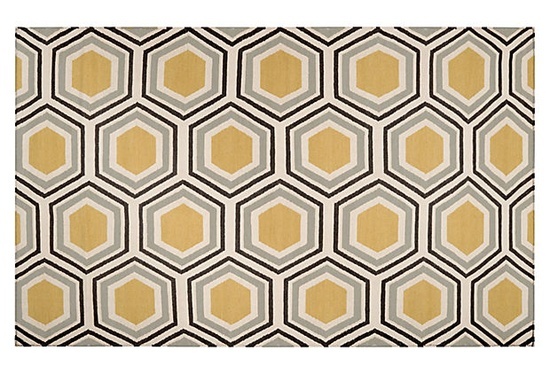 Here's inspiration rug priced over a $100. 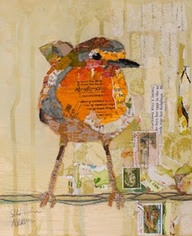 Here' my decor inspiration, the little robin. Which lead me to make this little nest sign... I used markers color pencils, paint and oil chalk, then covered it with poly. So I'm happy with my little deck....feels more homey now. When I was 20 years old and moving out I wanted my dad to make me a white picket fence head board and he decided to make me these cute little bird houses. just love them and the history behind them! Maybe want to add a sign with some color to this wall. and after....doesn't the sun make everything look better! 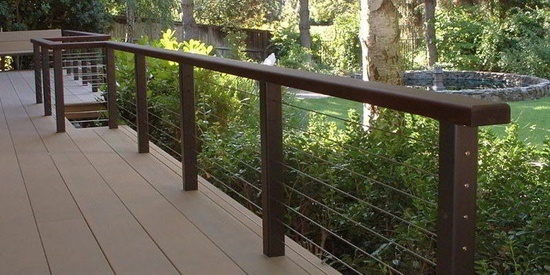 Next on the list is this cable railing and then we are done and ready to enjoy our deck! Flowers: Free (transplanted some perennials around the house) will come up next year too!